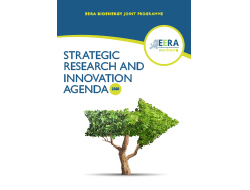 Researchers from 36 organisations in 18 countries, organised in the Joint Programme on Bioenergy within the European Energy Research Alliance (EERA), have published a Strategic Research and Innovation Agenda (SRIA). The EERA Bioenergy Joint Programme aligns research efforts across European borders and provides guidance for policymakers on how to support the decarbonisation of the energy sector by means of bioenergy. A consistent number of players in Europe believe in biopower, bioheat and advanced biofuels as capable to provide significant benefits on 3 objectives: reduction of greenhouse gas emissions, increase of energy security and creation of new opportunities for sustainable economic growth. Among the European academics, also the team of Advanced Biofuels research program, Aalborg University provided its contribution to the SRIA particularly on sections on Hydrothermal Liquefaction (HTL). This SRIA contain an important programme, defining priorities and perspectives until 2030 and beyond to align national research, development and innovation efforts across borders for unleashing the full power of bio-based solutions in the energy transition. For more information on EERA Joint Programme on Bioenergy and the full SRIA, please access here.